Arizer has updated their popular classic Arizer Air, presenting us with their new and improved Air II. The Air II is even more powerful than the original, with a shorter heat-up time and a longer battery life. It’s still as conveniently compact as before, making it an outstanding portable vape. The isolated air path and borosilicate glass ensure the purest and most flavourful vapor possible. Arizer did a great job improving one of their most popular vaporizer classics, the original Arizer Air. The new Air II is now even more powerful. It still has many of the great features of the previous model, including the compact size, which makes the Arizer Air II one of the best portable vapes on the market. The Arizer Air II is 50% more powerful than the previous model, with a longer battery life and a faster heat-up time. The Air II now comes included with several matching steel filter screens. The filter screens prevent particles from entering the vaporizer’s air path, so they don’t end up in your mouth. With the included micro-USB charger, you can charge the Air II anywhere and anytime. Thanks to the unit’s pass-through functionality, you can even use the vape while charging! The Air II has a crisp OLED display and is very easy to use thanks to the simple 3-button operation. The easy-to-read OLED display of the Air II allows you to adjust the unit’s temperature in single degree steps, so you can dial-in your optimal vaping experience. The display also lets you know the remaining battery charge. You can adjust the brightness of the display and use it to activate the vape’s auto-shutoff function. The Air II features a completely isolated air path made from heat-resistant borosilicate glass for a flavourful, yet pleasantly smooth smoke. What sets the Air II apart from many other portable vapes is that its conduction-style heating chamber doesn’t “cook” your cannabis. Rather, it ensures your plant matter is heated-up evenly, for maximum flavour and effect. Not only is the Air II an excellent portable vape due to its pocket-size, it also has an increased battery capacity that allows for longer, uninterrupted vaping while on-the-go. There is a rubber cap on the glass stem so you can easily pre-pack bowls before your travels. With the Air II being such an excellent travel mate, we have also included a protective carry case with a belt-clip. Due to requests from users, we are now including several stainless steel filters with the Air II. Both the screens and the glass stem are very easy to clean. You can simply soak them in rubbing alcohol. For cleaning the bowl, a quick swipe with an alcohol wipe is all that you need to remove any buildup. 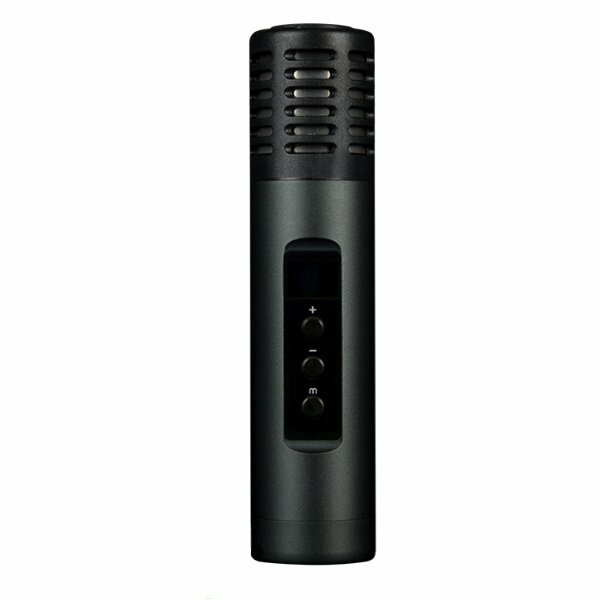 The Arizer Air II uses standard 18650 rechargeable batteries. You can charge the unit directly via its built-in USB port and the included charger cable. Tip: If you get extra rechargeable batteries and an external charger, you can always have one battery fully-charged and ready. The Arizer Air II comes with a two-year manufacturer’s warranty. This warranty covers any workmanship issues or defects. The heating element of the unit is covered by a lifetime warranty.